← Queen – Who Wants To Live Forever. Queen – Keep Passing The Open Windows. Publicat pe 2 octombrie 2015	de Cristi M.
After the conclusion of his work with Queen in June 1991 Mercury retired to his home in Kensington. His former partner, Mary Austin, had been a particular comfort in his final years, and in the last few weeks of his life made regular visits to his home to look after him. Near the end of his life Mercury was starting to lose his sight and his deterioration was so overpowering he could not get out of bed. Due to his worsening condition, Mercury decided to hasten his death by refusing to take his medication and continued taking only pain killers. 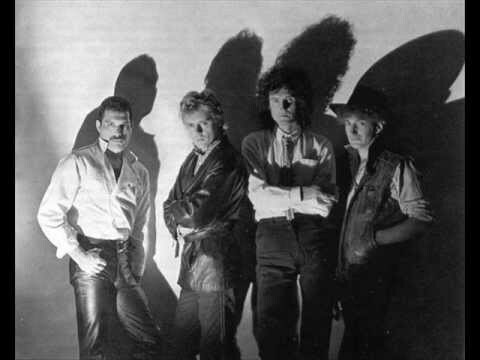 On 22 November 1991 Mercury called Queen’s manager Jim Beach over to his Kensington home to discuss a public statement. The next day the following announcement was made to the international press on behalf of Mercury: Following the enormous conjecture in the press over the last two weeks, I wish to confirm that I have been tested HIV positive and have AIDS. I felt it correct to keep this information private to date to protect the privacy of those around me. However, the time has come now for my friends and fans around the world to know the truth and I hope that everyone will join with me, my doctors and all those worldwide in the fight against this terrible disease. My privacy has always been very special to me and I am famous for my lack of interviews. Please understand this policy will continue.